CoiNel performs thorough inspections at several key points in the assembling process. We firmly believe that the lowest cost and highest quality are obtained by building it right the first time. Our reputation with customers for consistently meeting their most demanding quality and delivery objectives rests in large part on our thorough inspections procedures and our highly trained and dedicated employees. Receiving Inspection: All incoming material purchased for customers by CoiNel is inspected before it is placed in inventory. Pre-Production Inspection: After product samples are provided, we will verify that the order is placed for the correct materials, components, and accessories. We will also randomly select and inspect a sample of partially produced products for potential defects, then report our findings to you. If necessary, we can provide the manufacturing plant with the technical advice necessary to improve product quality and to minimize the chance of defects during production. Kit Audit and Parts Preparation: Whether pulled from internal inventory or received as a consignment kit, all components are reviewed vs. the BOM for correct quantities and correct parts. Shortage reports are generated and managed. 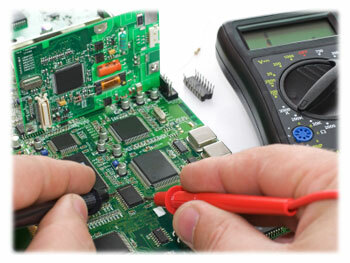 Post Surface Mount/Pre mounting Inspection: 100% of all parts are inspected for proper location and orientation. This includes all through hole and surface mount devices. Open locations are checked against a shortage report and the assembly drawing. Final Inspection: Final Random Inspections can begin only after prototype/production design has been completed and all merchandise is ready shipment. We will sample products to verify product safety, quantity, workmanship, function, color, size, packing, and more. This ensures that your product is consistent and compliant with all country, industry, or otherwise-specified requirements and that no critical major or minor defects appear. Outgoing Inspection: Every shipment is inspected by the quality manager to ensure all the paperwork and other inspections have been done according to internal procedures. CoiNel can monitor your entire design process – from sourcing the right supplier through final delivery of finished design. Our internal testing and design processes provide you with peace of mind and assurance that your designs are of the quality you expect and demand.